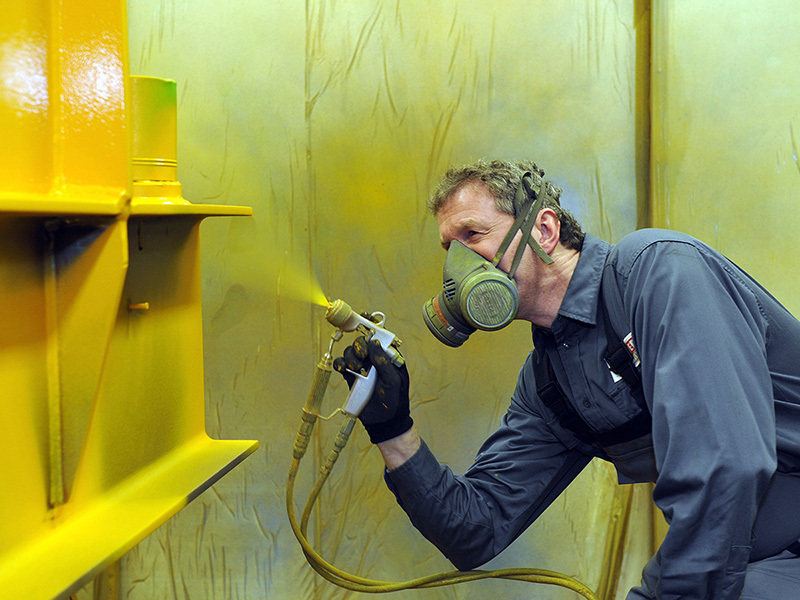 The wall-mounted slewing jib crane PRAKTIKUS is our cost-effective basic crane! 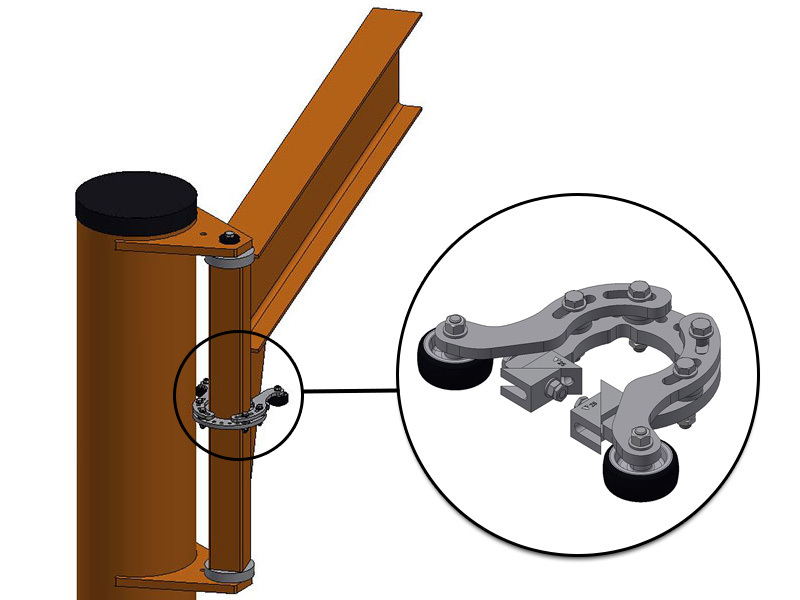 You can use it for simple operational tasks requiring a capacity of up to 2,000 kg. 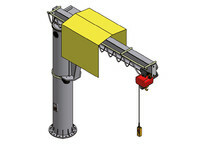 Its overbraced design and lightweight jib arm enable especially easy slewing of the crane. 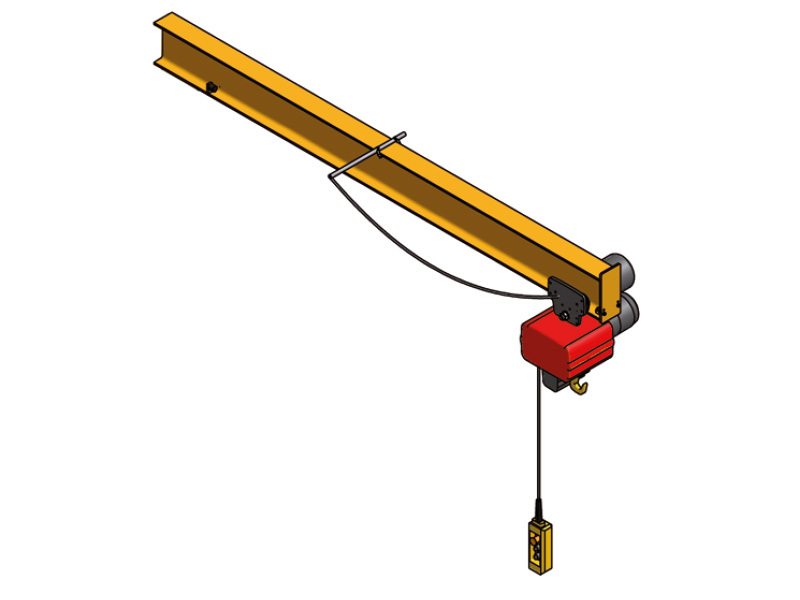 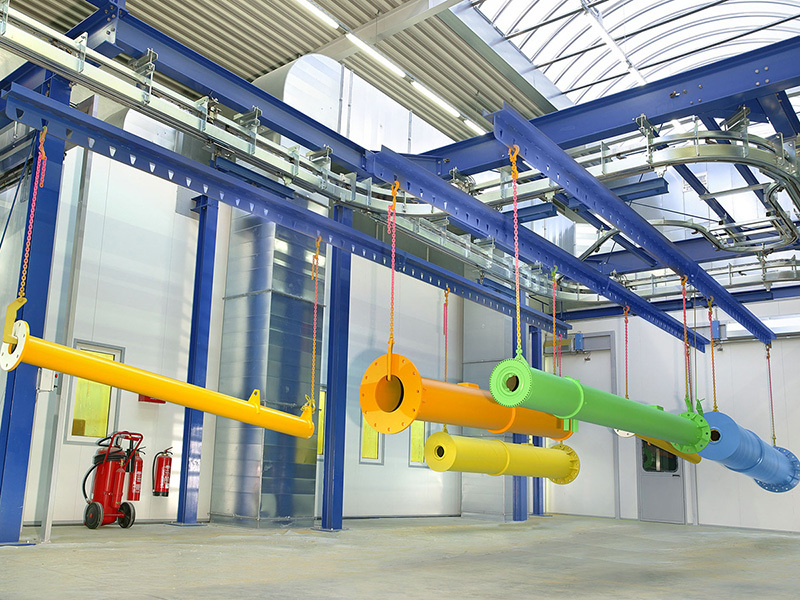 The wall-mounted slewing crane PRAKTIKUS perfectly meets your requirements for indoor and outdoor use since its jib arm length can be adjusted individually. Regarding fastening options, you can make your individual choice from fastening on steel pillar, reinforced concrete pillar, reinforced concrete wall, and steel structure. Moreover, we offer a suitable power supply, electric chain hoists ELECTROLIFT® with electric trolley as well as various other accessories. This type of slewing crane is also available as column-mounted slewing jib crane. 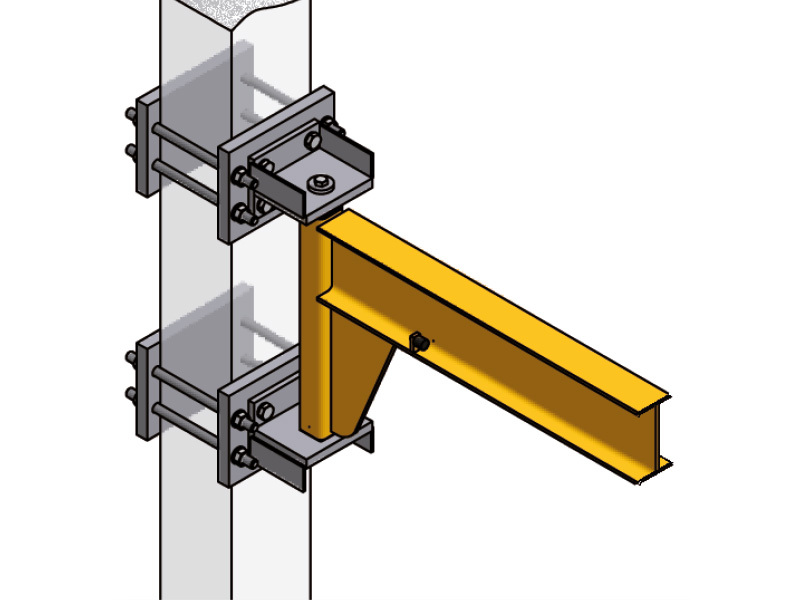 For fastening jib cranes on reinforced concrete pillars. The front bracket plate is clamped to the pillar by the included threaded rods, nuts and counterplate. 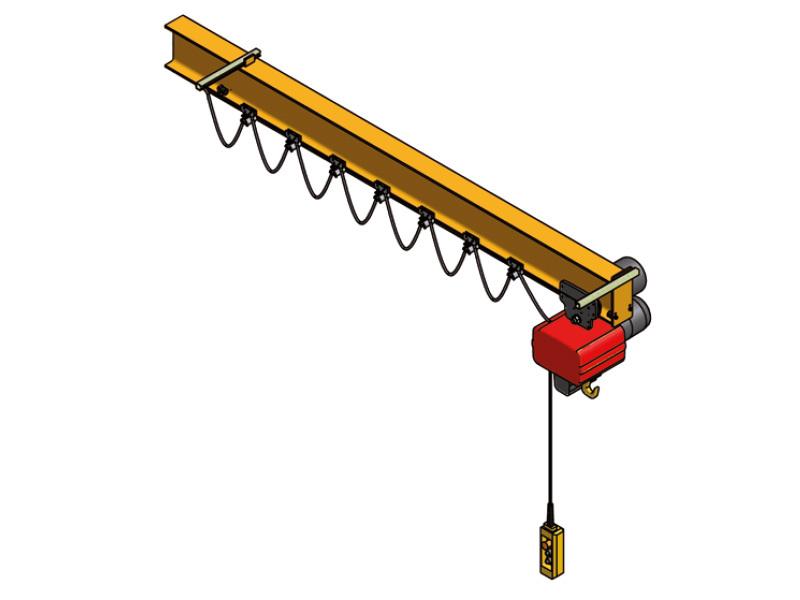 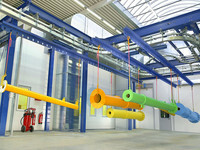 For fastening jib cranes on concrete walls. 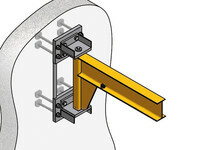 The bracket plate is mounted on the wall by the included threaded rods, nuts an washers. Designed to attach the wall-mounted slewing jib crane to a steel structure which is suitable regarding static strength. 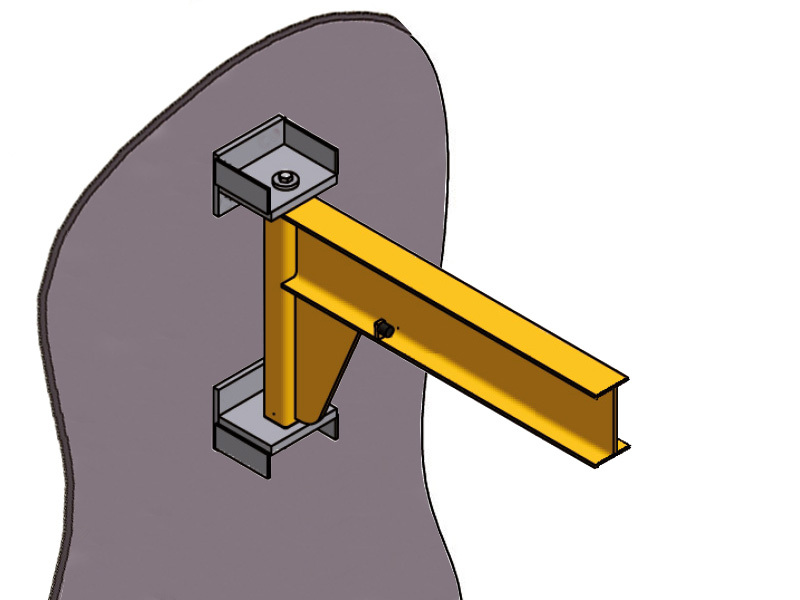 The bracket is welded directly onto the steel structure. 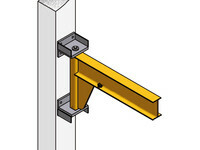 This fastening option is perfectly suited if is not possible or allowed to drill holes into the existing steel structure. Mechanical slewing limitation, can be installed and adjusted easily and continuously.